Leap day was only hours old when a thief stole a garbage truck and used it to break in a local bank and haul away an ATM. Police in Thorsby have a trashy crime on their hands. Leap day was only hours old when thieves stole a garbage truck and used it to break into a local bank and haul away an ATM. RCMP responded to an alarm at the local Bank of Montreal at 4:32 a.m. They found the ATM gone and later found the garbage truck abandoned on Township Road 492, east of the town. No one was in the bank at the time. Police say the suspect left that area in what what describe as a white, early-2000s Chevrolet or GMC extended cab truck. RCMP are asking for public assistance in identifying the suspect or the truck. This is the second ATM theft reported in Thorsby, though police said they could not confirm the thefts were related. 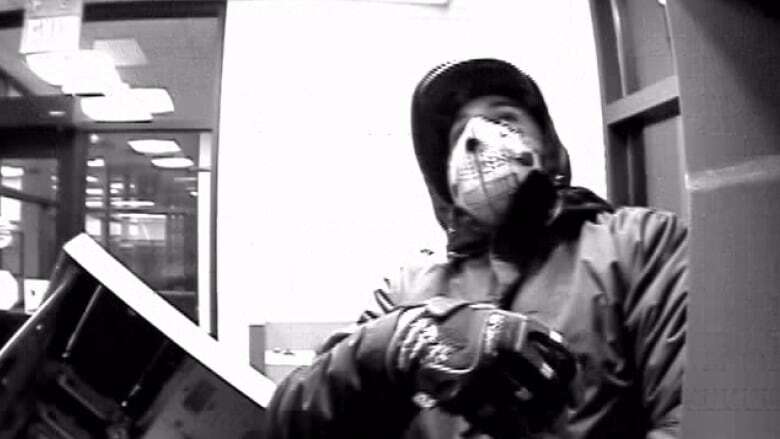 RCMP have been investigating a string of ATM thefts across northern and central Alberta over the last three months. Other ATMs were stolen in Warburg, Alberta Beach, Grande Prairie, Slave Lake, Onoway, and Leduc.